Gozan-okuribi is the most famous event in Japanese Bon holiday season. 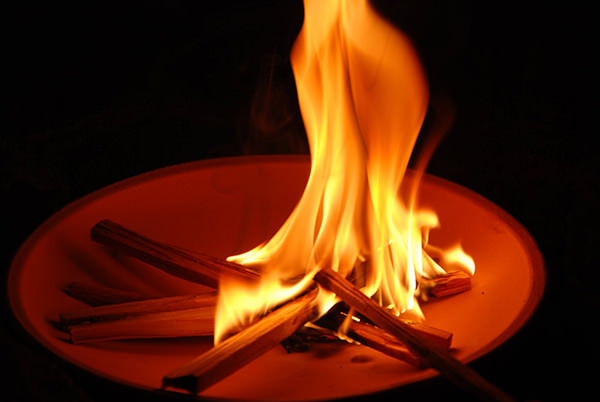 In Japanese, the word "gozan" is "five mountains" and "okuribi" is "the fire burning at a memorial service for ancestors", respectively. 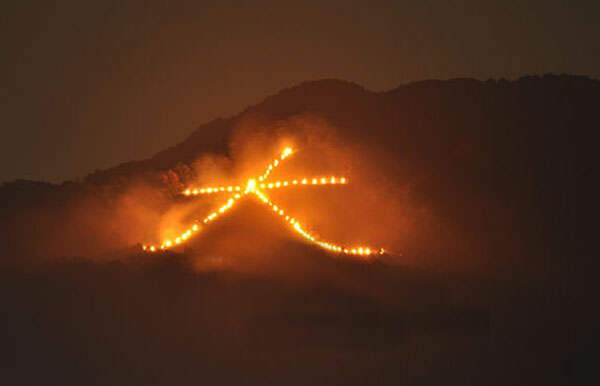 So, "Gozan-okuribi" literally means "The fire burning at five mountains in order to hold a service for ancestors". As its name indicates, five mountains are burned in east, north, and west Kyoto. In ancient times, people could see all of Gozan-okuribi from everywhere in Kyoto city. But in modern times, there are few places where you can see all of the five mountains because many modern, high buildings hinder your vision.